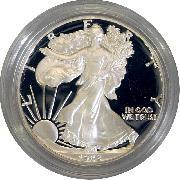 We are pleased to offer for sale this 1988-S American Silver Eagle PROOF Dollar from the San Francisco (S) Mint. 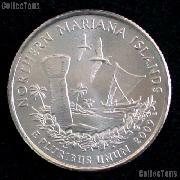 This 1988 Silver Eagle Proof coin is GEM Proof and contains one troy ounce of .999 fine silver. All of our Proof Silver Eagle Dollars have nice eye appeal with no visible problems and represent a great value for the price. 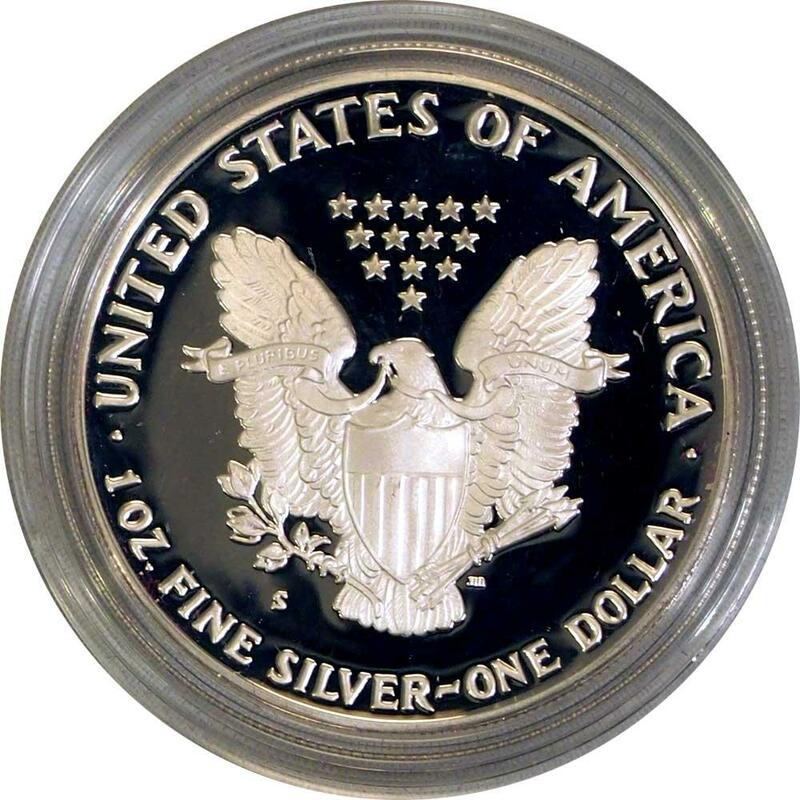 These 1988 Silver Eagle Proofs are one ounce bullion coins with the face value of one dollar. 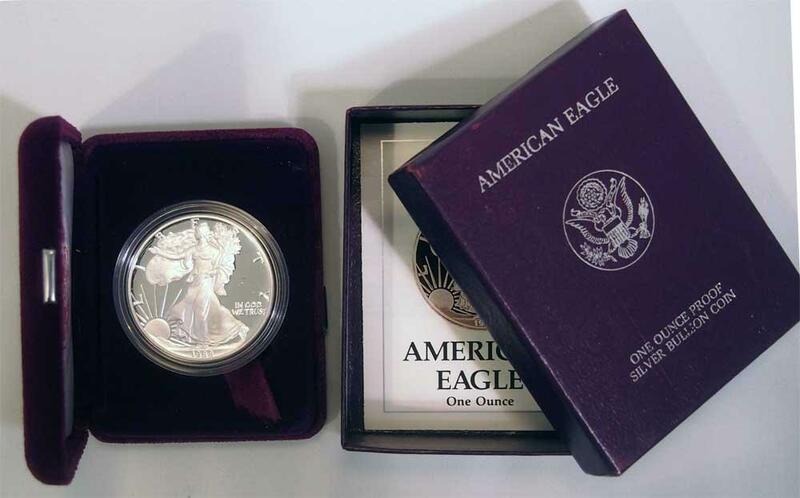 This 1988 Silver Eagle Proof is of great worth to the collector or numismatist that needs to fill a hole in their Proof American Silver Eagle Dollar set. This 1988 Silver Eagle Proof coin comes in the velvet box and cardboard outer box as issued by the mint, which are both in great condition. 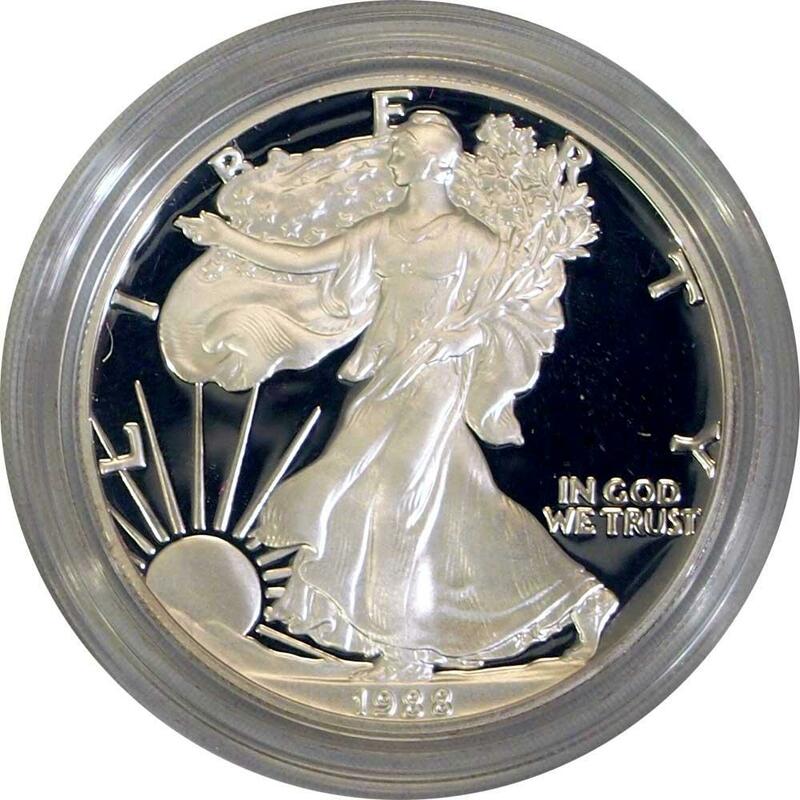 The Certificate of Authenticity (COA) for this 1988 Silver Eagle Proof is also included. Don't miss out on this rare 1988-S American Silver Eagle Proof Dollar at this low price!